In a great new video, chemist and science educator David K. Smith breaks down the importance of visibility for queer folks working in the sciences—because who we elevate as role models helps determine what GLBT kids envision themselves doing in the future. And, right now, science really isn't where we're finding queer role models. How representative is our sample? We're currently working on writing up the key results of the online survey for publication in a peer-reviewed journal, but something has come up in the course of writing that seems worthy of a small update here: the question of how well we've managed to sample LGBTQ-identified folks working in STEM. Because there isn't any central listing of queer folks working in the sciences, we used a "snowball sampling" approach, via social media, asking survey participants to forward links to the survey site to their friends. This is a good way to find study participants from populations that aren't readily visible, but that do have strong social ties. However, it also means that the sample of participants we end up with may be limited by the breadth of the social networks we're able to tap. Allison had done some work on queer issues previously, on "discrimination in school settings, transnational queer migration, and identity development." So Jeremy asked Allison what she thought about the idea of a survey of a nation-wide sample of queer scientists – as a social scientist, did she think results like that would be publishable? 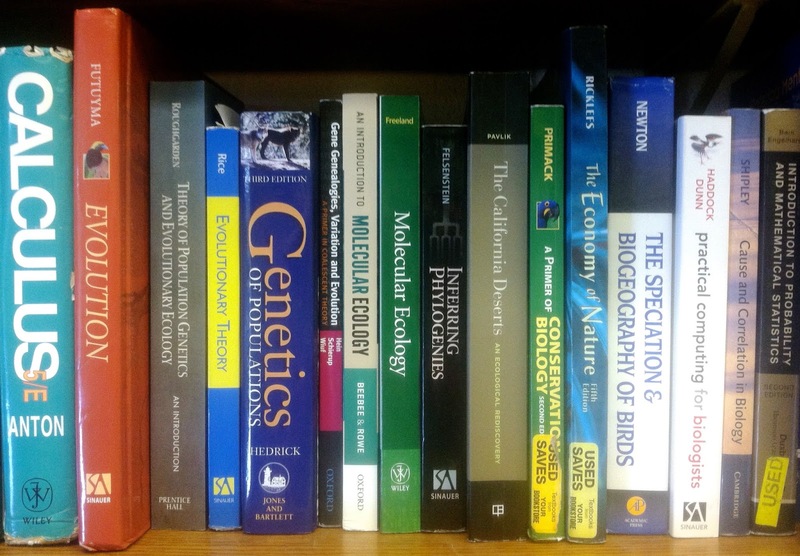 "I responded, 'are you asking me to teach you about doing research with human subjects? Sure!'" You should definitely go read the whole thing. But there's far more than the two of us, so you should really go read the whole article. Thanks to everyone who came out to chat about the Queer in STEM study results at today's College of Biological Sciences Bio-Diversity Brown Bag! In case you couldn't attend, or if you want another look at the results, Jeremy's slides for the presentation are available for download right here. As with our other preliminary presentations of data from the study, we'd love to hear feedback, questions, and opportunities to share information. However, we ask that you do not cite any information found on this site without contacting us directly at jbyoder@umn.edu or amatthe5@calstatela.edu beforehand. Thanks! Jeremy will be presenting some of our results from the Queer in STEM study at noon next Tuesday, 15 October, as part of the Bio-Diversity Brown Bag Series held by the University of Minnesota College of Biological Sciences. The series is a collection of presentations and discussions on identity and its interaction with scientific work and study—right up our alley. The seminar will feature a 20-minute presentation followed by discussion, and it's open to UMN students, faculty, and staff, as well as anyone interested in diversity in the sciences. Bring a lunch (that's the "brown bag" part) and your questions about LGBTQ identity and scientific careers to room 6-135 in Jackson Hall on the UMN East Bank campus. @JBYoder Also coming out can make workplaces safer. While safe workplaces encourage coming out. Virtuous circle. @JBYoder At my institution I have several out colleagues, and (maybe as a result?) students seem to feel better able to be out too. Preliminary results: Out of the lab closet? Please note that the findings reported here are preliminary as we continue data analysis. We welcome feedback, questions, and the opportunity to share information. However, we ask that you do not cite any information found on this site without contacting us directly at jbyoder@umn.edu or amatthe5@calstatela.edu beforehand. Thank you! 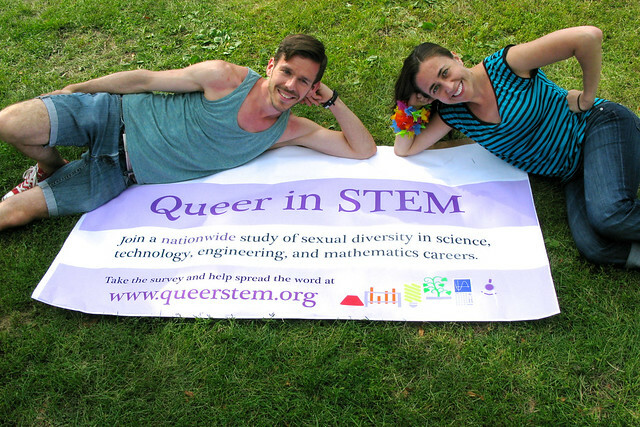 So what did all the queer STEM professionals who answered the Queer in STEM survey tell us about their experiences? One of the first, most straightforward ways we can understand people’s experiences is to ask them, how “out” are they? Being out, or open about our gender identities and orientations, can be quite complicated for people who identify as lesbian, gay, bisexual, trans*, or queer. Some of us have a presentation that’s androgynous or gender variant enough for most people we meet to pick up on it; some of us try to provide a hint by wearing a rainbow wristband or other indicator. And, as several people pointed out after answering the questionnaire, those of us who identify as transgender with a gay or lesbian or bi orientation may be out about their gender identity but not about their orienation—or vice versa! So, for many of us, coming out is a daily task. Still, how out we are in a given situation or social group says a lot about how comfortable we are in that context. Meet Jack Andraka, a 16-year-old inventor, scientist, and cancer researcher who, in 2012, was awarded the Intel International Science and Engineering Fair’s prestigious “Gordon E. Moore Award” for his invention that detects an increase of a protein that indicates the presence of pancreatic, ovarian, and lung cancer during early stages when there is a higher likelihood of a cure. Jack is also openly gay, and says that his family and a few close friends had known for about three years, and are very accepting. He says he used to worry that there were few gay role models in the science field, or that he would be perceived as “that weird gay kid.” But now he hopes he can help inspire other LGBT youth to get involved in STEM (Science, Technology, Engineering and Mathematics). We're hopeful that the Queer in STEM study can help provide greater visibility for LGBTQ scientists—so that smart, ambitious kids like Jack don't have to look so hard for mentors who understand their experiences. Preliminary results: Who answered the survey? Update, 25 September 2013: Please note that the findings reported here are preliminary as we continue data analysis. We welcome feedback, questions, and the opportunity to share information. However, we ask that you do not cite any information found on this site without contacting us directly at jbyoder@umn.edu or amatthe5@calstatela.edu beforehand. Thank you! How many people working in scientific and technical careers identify as lesbian, gay, bisexual, trans*, or queer? What fields do we study? How have our careers proceeded, compared to our straight colleagues? How have our identities affected our experiences in scientific workplaces? These questions are not well studied, and they're some of most important motivations for the Queer in STEM study, which seeks to better understand LGBTQ experiences in STEM (science, technology, engineering, and mathematics) careers by directly engaging with STEM professionals who identify on the LGBTQ spectrum. The study consists of three phases: (1) an online survey, conducted at this very website from 7 May to 31 July 2013; then (2) e-mail responses to 10 open-ended questions by survey participants who volunteered their contact information; and (3) individual interviews conducted by phone or Skype. We’re just beginning to analyze the written responses and, with generous support from NOGLSTP, transcribe recordings from the interviews. In the meantime, though, we’re able to begin reporting results from the online survey! Today we’ll start by answering the most basic question: who answered the survey? This is our final call for responses to the questionnaire, which closes at midnight tonight, U.S. Central Time. As of right now, we have 1,462 completed responses—can we get to 1,500 by the end of the day? It's going on three months since we launched our online questionnaire, and over that time more than 1,300 participants have told us about their work in STEM, the communities where they live, and how their identities interact with both. We've also had fantastic responses to follow-up questions, both by e-mail and in one-on-one interviews, and we're grateful to everyone who has participated. So we're going to close the questionnaire at the end of this month. After midnight (U.S. Central time) next Wednesday, 31 July, we'll no longer take new responses on the questionnaire. We expect to be getting the last of the e-mail responses, and wrapping up the personal interviews, about the same time. Once we're officially done with data collection, we'll be able to start digging into everything participants have told us about their lives and work. We're hoping to start reporting results from the online questionnaire right here on the website, and we'll also add to the list of existing scholarly literature we've used to provide context for this study. We are beginning qualitative analysis of the e-mail responses, and thanks to generous funding from our friends at NOGLSTP, we'll be able to begin transcription and analysis of the personal interviews very soon as well. So, if you haven't yet taken the survey, or you've been putting off e-mailing it to some friends or colleagues—now is the time! When scientists talk about issues related to diversity or broadening participation in their disciplines, the focus is typically on supporting women, persons of color, or first-generation college students. However, scientists who identify as part of the LGBT (lesbian, gay, bisexual and transgender) community are also a minority within the scientific community and may, likewise, find themselves marginalized. Moreover, scientists who would like to make their disciplines more welcoming to LGBT colleagues may be uncertain about how to do so. 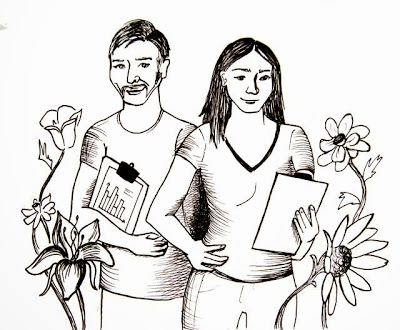 Simmons and Barthelemy link to a best practices guide [PDF], and distill out a few key areas for faculty and administrators looking to make a college or department or campus—or, indeed, any workplace—more welcoming. One of the outcomes we've been hoping to develop from our own study—especially now that we're in the thick of one-on-one interviews with study participants, is to put together a clear-cut list of recommendations for campus policy and community training that caters to scientific fields—it's good to see other folks are already thinking about exactly that. We're pleased to announce that Allison and I and a few of our very best friends will be hosting a booth at the 2013 Twin Cities Pride festival in Loring Park this Saturday and Sunday. Come say hi, pick up a couple of our shiny new promotion cards to pass around, and bring anyone you know who hasn't participated in the survey yet. 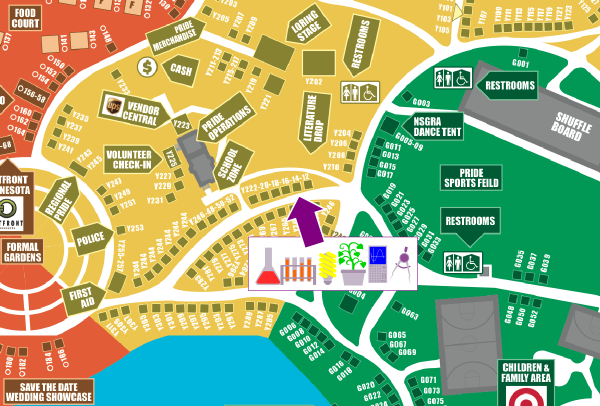 Updated to add: Here's our booth location—in the Yellow section of the festival, north of the lake and near the School Zone. The actual bookshelf above my actual desk. Before starting any scientific project, it's important to understand the current state of knowledge on your topic—how else can you figure out how to learn something new if you don't already know what others have discovered? 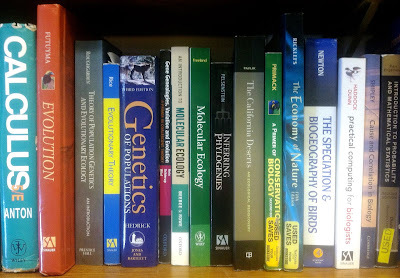 But keeping current on the relevant literature is an ongoing task, too. For the Queer in STEM study, we've opened a group on the reference-sharing site Mendeley to collect and discuss research about the intersection of LGBTQ identities and scientific research. Join us there to take a look at what sort of work has already been done, or to suggest studies we should take a look at as we go forward. Happy Pride Month—it's been more than a month since we launched this study, and what a month it's been! Our "snowball sampling" method of asking participants to pass along links to the study has been extremely successful: we know that the survey has been mentioned in at least 185 tweets, recommended 467 times on Facebook, and shared 20 times on Google+. We've been linked from websites we know well—like It's Okay to Be Smart and Minority Postdoc—and also from new friends like Geek Feminism, The Asexual Agenda, the University of North Carolina at Charlotte, Lab and Field, and many, many folks on Tumblr. We've been especially glad to hear from folks working in industry or research outside of academia—if you haven't already, please help us reach out to other folks in the private sector, outside the networks we're more familiar with as university researchers. And, to those of you in academia, we greatly appreciate your sharing the survey with friends and colleagues working both within and outside of university settings. All in all, it's been a fantastic response, and we have reason to think that there are still a lot more potential participants left to reach. 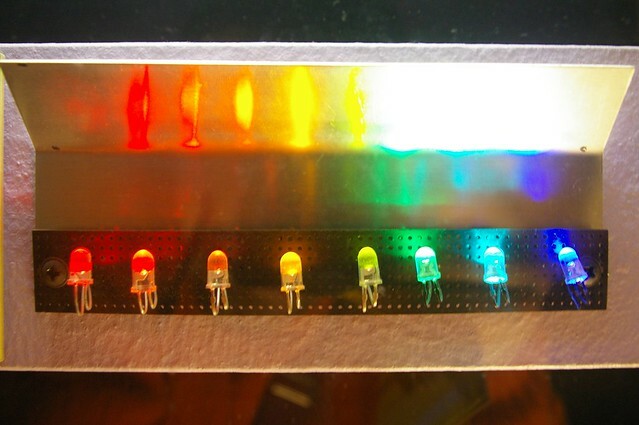 LGBTQ in STEM: Who are we? What kinds of institutions do we work at? What kinds of communities do we live in? What degree of acceptance and support have we found in our chosen career fields? We're Jeremy Yoder, a Postdoctoral Associate in the Department of Plant Biology at the University of Minnesota; and Allison Mattheis, who just accepted a faculty position in the College of Education at California State University Los Angeles. As queer academics, we're interested in understanding and improving the climate for LGBTQ faculty, staff, and graduate students in the sciences. This led us to the idea of developing and conducting a systematic, nationwide survey of LGBTQ folks in science, technology, engineering, and mathematics (STEM), asking basic questions to identify who we are, what fields we work in, how our careers compare to those of our straight peers, and how our identities interact with our chosen work. To begin to answer those questions, we've initiated this online survey of LGBTQ folks working in STEM. If you're queer, have completed at least a bachelor's or technical degree, and are working in STEM in any capacity — grad school, the tenure track, corporate R&D, the nonprofit sector, or science communication — we want to hear from you, and we need your help to collect a comprehensive sample. You can take the survey and learn how to help spread the word right here. Thanks in advance! Keep an eye on queerstem.org for news about an exciting new project, starting soon.